As teased earlier, Motorola has today officially launched its flagship Moto X Force smartphone in India. The new smartphone is the international variant of the Motorola Droid Turbo 2 that launched in the US back in October last year. The main USP fo the device is the ‘Moto ShatterShield‘ display that is made of a rigid aluminium core, flexible AMOLED screen, and dual-layer touchscreen panels that can even resist when dropped on a slab of concrete. Regarding specs, the Moto X Force features a 5.4-inch (1440×2560 pixels) Quad-HD AMOLED shatterproof display offering a pixel density of 540ppi. Under the hood, it comes powered by Snapdragon 810 64-bit Octa-core processor clocked at 2GHz paired with Adreno 430 GPU. The device supports dual sim dual standby and runs on Android 5.1 Lollipop out of the box with planned upgrade to Android 6.0 Marshmallow in future. The device comes with 3GB RAM, 32GB/64GB of onboard storage with microSD card slot for expansion upto 2TB. The handset comes backed by a 3760mAh battery that is rated deliver upto 30 hours of talk time on a single charge. The smartphone supports TurboPower fast charging technology that can offer upto 8 hours of talk time with just 15 minutes of charge and also supports Qi wireless charging. The dimensions of the handset measure 149.8 x 78 x 9.2 mm weighs 169 grams and comes in Black, Grey with Ballistic Nylon finish and White color options. 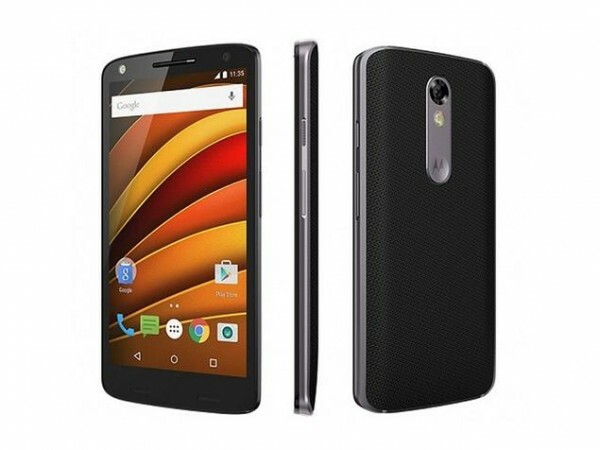 The Moto X Force is priced at Rs. 49,999 for 32GB variant while the 64GB costs Rs. 53,999 and will be available for purchase via Flipkart, Amazon.in, Spice Hotspot and Croma starting from February 8th.